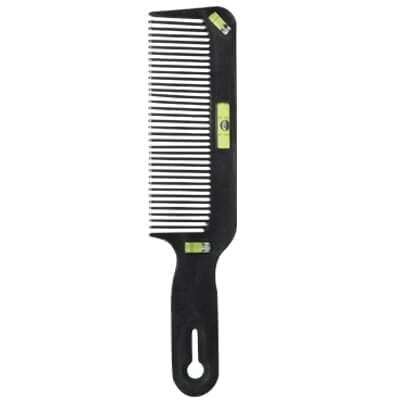 Flat top comb features a level indicator for accuracy and a built-in sideburn comb. Can be used with clippers or shears. Measures: 10-3/4″L x 4-1/6″W x 15/16″D.